If you want to enhance your portfolio website, then you have to add various functionalities such as sliders, layouts etc in it. Now, for adding various features to your site, you need to apply the best portfolio PHP script on your website. You can add beautiful images of models in a full-width slider. It allows you to see the various stats regarding the number of total images, models contact numbers and more. The admin can charge visitors for showcasing their portfolio on his site. Further, admin can collect money with the help of various payment gateways such a PayPal, Stripe and more. Portfolio PHP scripts provide you predefined layout which you can apply to your site. Further, it allows you to create your own layouts according to your requirement. Here, in this article, we have compiled 5+ best portfolio PHP scripts which help to manage your portfolio site and give them a dynamic look. You can add many features to your site by applying these portfolio scripts. Let’s have a look at each portfolio PHP script in detail. This portfolio PHP script helps you to give your portfolio creator site a new height. You can add various features to your website such as category management, product portfolio management and more. 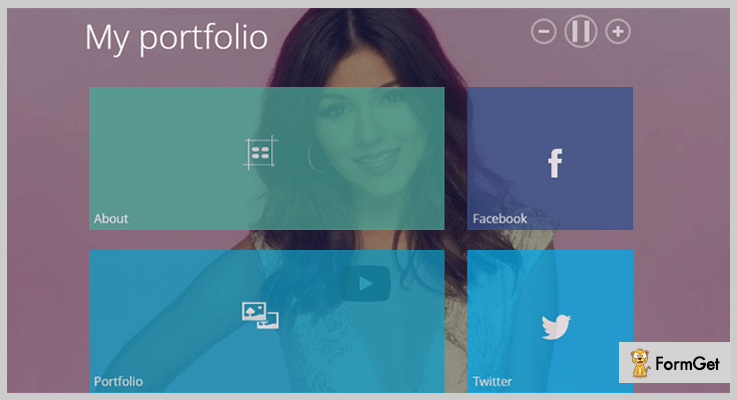 It provides you with a beautiful slider on the homepage, where you can showcase your portfolios in a beautiful way. Also, there is a section where the admin can display their business prospects and work motive, present just below the slider. It has a six-column featured area where the website owner presents their portfolio images. Also, it permits you to place the portfolio title below the image. There is a contact section in the footer area where you can showcase your address, contact email id. Also, you can place your contact number so that your visitors can directly contact you. This PHP script is easy to install comes with good documentation and complete user guide. Further, the script is highly customizable, so that you can make any changes in the code according to your requirement. Buy this portfolio PHP script at $16 with 6 months support and regular updates. You can extend your license by paying $155 and get a quality check by Envato. It is a powerful portfolio manager script which helps you to easily manage your portfolio website in just a few clicks. The simplified PHP script is best suitable for web developers, photographers, creative people, and more. This PHP script supports you to create a news management module where you are allowed to create news articles for your website. It has social sharing options where you can share your portfolio on the social networking sites such as Facebook, Twitter and more. It has a video background management module feature where the admin is allowed to change the videos playing in the background. Due to various customization options adding any colors, text etc in your portfolio website is an easy task. You can change the layout of your website according to your need in no time. The script supports an email manager where admin can track all the upcoming emails directly into the admin interface. Also, they can receive emails directly into their mailbox in a fraction of time. Get this simplified portfolio PHP script at a reasonable price of $17 with 6 months support and regular updates. This PHP script is the best fit for you if you want to create your portfolio site. It comes with easy installation, well documentation and complete user guide which will make your work easy. The best part of this script is, you can control almost everything from the single admin interface. 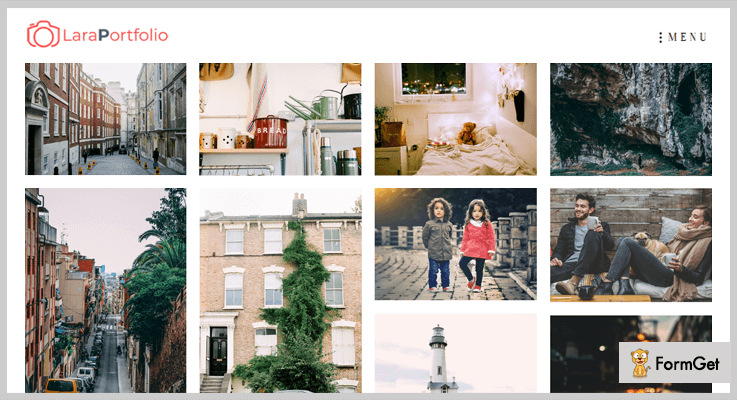 You can control your portfolio work, your user’s profile, categories, and more. The management system is so good so that you can easily manage your pending works and work on it instantly. You can manage your site media by uploading and deleting files easily according to your requirement in just a few clicks. The PHP scripts permit you to have two users permissions these are admin and moderator. Here the admin has full control on the site and moderator have only few access on the site. 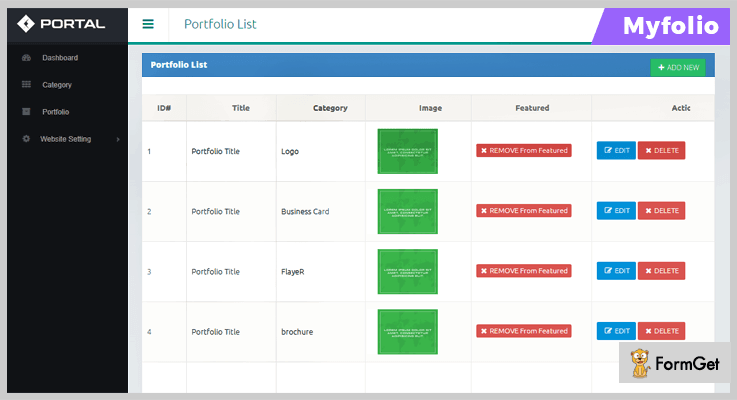 Techno portfolio PHP script helps the moderator to create a sales report which can be created in excel on the monthly basis and sent it to your admin. Regular license – Buy this plan at $35 with 6 months support system and regular updates. Extended license – This plan costs you $145 with advanced features and quality checked by Envato. 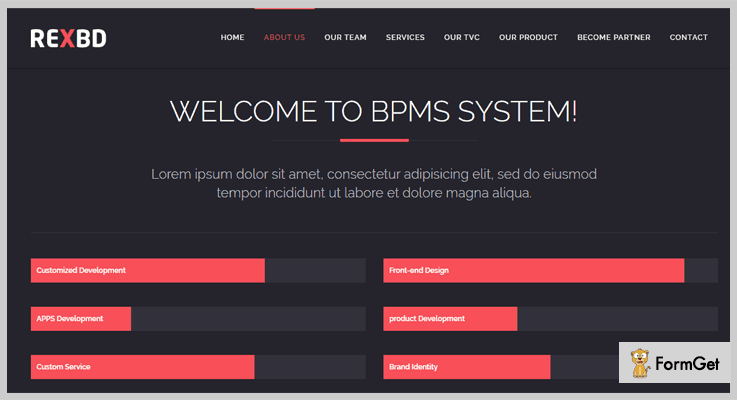 This one is a fully responsive portfolio PHP script which easily fit for any screen size. This script provides you to 3 dynamic layout for your homepage which gives your site a better presentation. You can make a portfolio of your users and collect money from them easily with the help of various payment gateways such as PayPal, Stripe and more. You can add various images and videos to your portfolio site. Also, it permits you to embed YouTube as well as Vimeo videos directly to your site. Further, it has an integrated Mp3 player by which you can add various music audios in the portfolio with ease. The script has a Google map integration feature through which your visitors can easily locate your work location. It has a newsletter subscription feature through which you can collect the leads. Further, you can notify your users about your new services with the help of these ids. This portfolio PHP script is available at a reasonable price of $9 with a 6-month support. You can even extend the support up to a year by paying $1.50. The extended license is available at $30 along with quality checked by Envato. If you are having a model agency portfolio website then this PHP scripts helps you to give your site a better look. This script allows you to add various dynamic photo slider for models in just a few minutes. This clean coded script is easy to install and it is cross-browser compatible. Further, it works fine with almost every browser. In addition to this, the script is translation ready in nature so, you can change it into any language according to your need. The script has a specific SQL injection protection system against session hijacking, it helps you to make your site more secure. You can feature models images in the beautiful gallery section. If anyone wants to find the model, they just have to enter the city name along with gender and find model image instantly. It has an option for adding custom meta tag. Also, you can make changes in the logo, site title, footer and more directly from the admin panel. You can get this model portfolio PHP script at a reasonable price of $31 with quality checked by Envato. You will get future updates and 6 months support. The extended license is available at $305 where you will get quality checked by Envato, and 6 months support from GeniusOcean. It is a unique PHP script which helps you to create a one-page business management portfolio website. With the help of this script, you can represent your dynamic portfolios in a beautiful way. The best part is you can make your own portfolio website by just applying this portfolio PHP script to your business website. This PHP script is highly customizable that’s why you can edit, delete or add anything in the code according to your need. 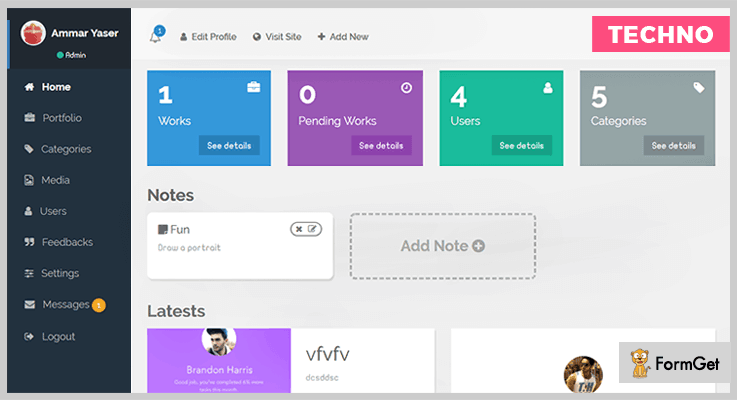 There is 4 column feature area where you can showcase your team members profile in a well-arranged manner. You can manage your portfolio site by showcasing your services and products along with text description in the service section area. It has a 3 column TVC section where you are allowed to place videos. Also, it permits you to edit, delete or add video with your choice. Buy this portfolio PHP script at just $20 with regular updates up to 6 months. Extend support up to 12 months by paying only $5.63. The extended license will cost you $100 along with quality checked by Envato and future updates. This is all about 5+ best selling portfolio PHP script. You can completely rely on the above scripts as we have compiled the list after a long research and testing. Hope you have found the best portfolio PHP script according to your need. Stay connected for more PHP scripts reviews.